Washington: India said it had lodged a protest with the United States government after several Indian students were detained there in connection with their enrolment in a fake university, following an undercover operation by US agents. US authorities this week said eight individuals who exploited the country's student visa system had been indicted. They had helped foreign nationals illegally remain in the United States by enrolling them into a private university, which was actually being operated by US agents themselves. The recruiters helped the students to fraudulently obtain immigration documents from the school in a bid to deceive authorities, the US Immigration and Customs Enforcement said. The foreign students, however, had no intention of attending school, it added. Though the US government did not disclose nationalities of those involved, the Indian foreign ministry said "several Indian students" had been detained. Indian media said more than 100 students had been detained in the United States. The Indian government had issued a rare "demarche" to the US Embassy in New Delhi, telling it that Indian officials needed immediate consular access to the detainees. "We underlined that students, who may have been duped into enrolling in the 'University', should be treated differently from those recruiters who have duped them," India's foreign ministry said in a statement. The Indian government also urged the United States to release the students from detention at the earliest, without resorting to deportation against their will. 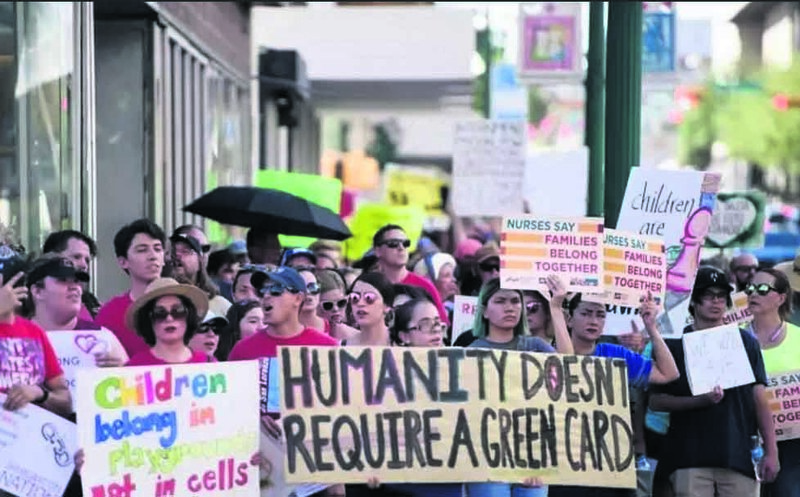 The United States agency had said that the defendants in the case "intended to help shield and hide" the students from United States immigration authorities for money. They collectively profited in excess of a $250,000, the agency said. "These suspects aided hundreds of foreign nationals to remain in the United States illegally by helping to portray them as students, which they most certainly were not," Special Agent in charge Steve Francis said this week. The Indian side sees no wrong on part of the purported students, who are mostly from Telangana and Andhra Pradesh. Officials from the Indian consulate visited the Prairieland Detention Centre in Alvarado, Texas and the Montgomery Processing Center to meet the incarcerated students and get their version of the episode. Many other students have been subjected to home detention with tracking devices, even as hundreds, perhaps thousands, of students are panicked over the crackdown. Indians form the second largest contingent of foreign students in the US at close to 250,000 studying in American institutions.